You are here: Home / CELEBRATIONS / It’s My Birthday! Come get my gift to you! Today is my birthday, and I am SUPER excited because my husband took the day off! Last night we went to one of my fave restaurants for a celebratory dinner just the two of us and today we are sleeping in before heading to brunch at another fave restaurant. Have I told you guys how much I love brunch? I’m so excited! Then, later today, we are heading out to the suburbs to celebrate both of our birthdays with my family. (Cap’s birthday is only 5 days after mine, so it’s really birthday week!) Today will be a very relaxing and chill day, which is usually what I want for my birthday. But I couldn’t not celebrate by giving you all something! 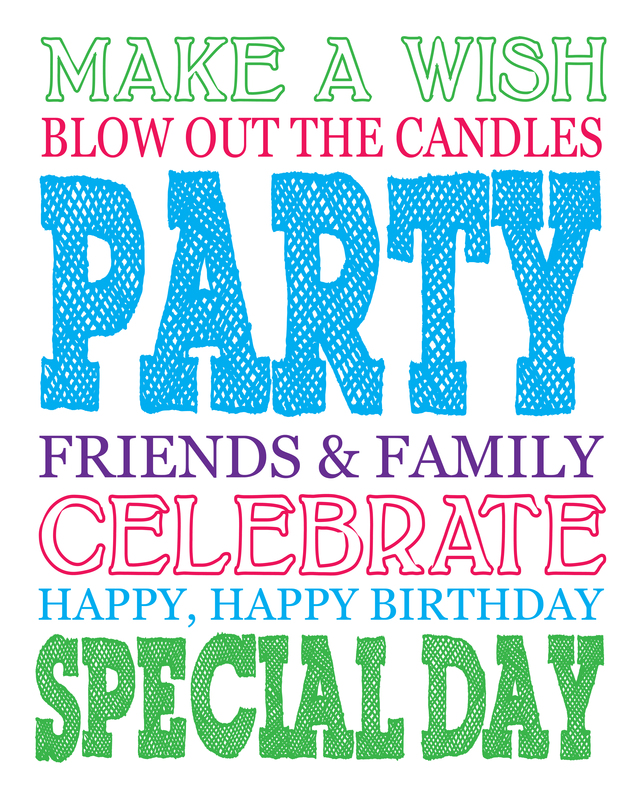 First, I am giving you all free Birthday printables! Since it is birthday week in our house, I definitely celebrate. Birthday subway art I can print out definitely make it easier. I also love using these as cards. So many options – including three different color choices! Second, I am giving you all a peak into my past with pictures from birthdays of years past. Okay, maybe this isn’t really a gift, but I still thought it would be fun. You can see a picture of myself with a big old bow RIGHT on the top of my head. Cap asked why I still don’t wear my hair like that. I wish what worked at age 4 worked now. I am also showing you the days in which I somehow thought it was appropriate to wear a colored shirt with track pants. My family was all about comfort in those days, but that’s not a shining moment. Plus, who doesn’t love a baby picture? The ages are newborn, 1, 4, 9, 16, 21, and 23. Today? I’m 28. Third, I have some other fun things planned this week, including wrapping up our big Blog Birthday giveaway. Today is the last day, so don’t forget to enter! Alright, enough talking and more celebrating! Have a wonderful day everyone and don’t forget to download your FREE birthday printables.